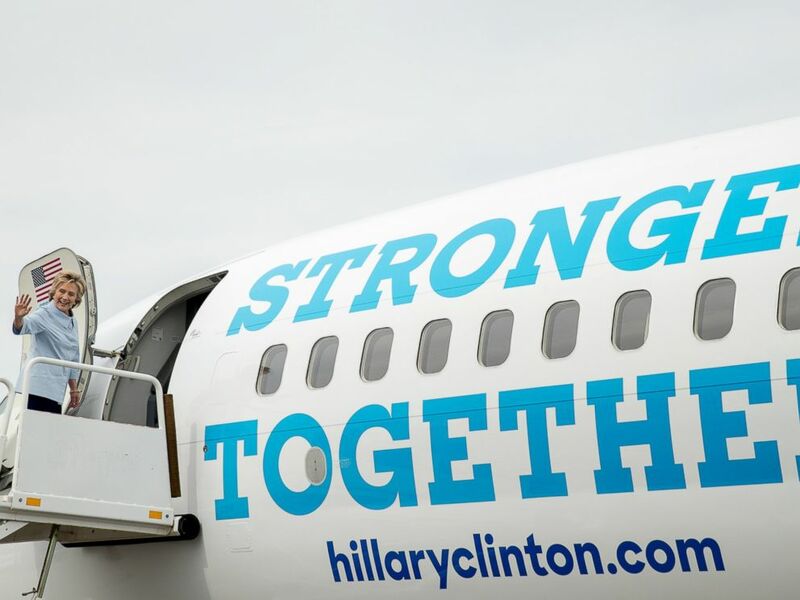 “Stronger Together.” Now, wait just a minute–haven’t we heard that before? You know what they say: you wake up one morning and find you’ve become what you hate. Did you catch the typo in trump's poster? It’s a throwback to the good times on the bus w/Billy Bush. The party of (lifted) ideas! Shouldn't Trump's stumpy little fingers be tightly held together for a proper salute? The Italian word “Fascio” which refers to literally “a bundle” which comes from the idea that a bundle of things will be “stronger together” than individually. 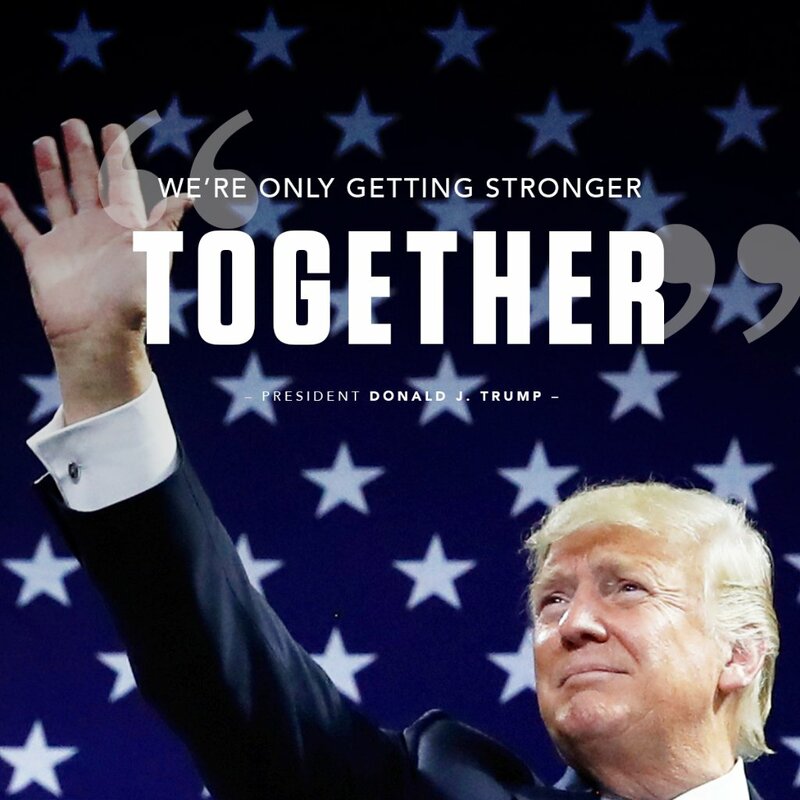 Where have we seen the words… “stronger together” before? Just sayin’…I don’t believe these things happen by accident. Imitation is the sincerest form of flattery. But somehow, I don't think he means it that way.